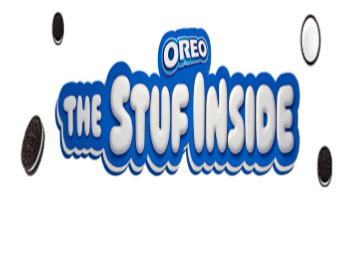 Oreo Stuf Worth Sharing Sweepstakes – Win a smart home device! Win a smart home device and an Oreo product (2 winners)! ELIGIBILITY – Open to residents of the 50 United States and D.C., 18 years of age or older at the time of entry. SWEEPSTAKES ENTRY PERIOD – Sweepstakes begins at 12:00 am Eastern Time (“ET”) on February 20, 2019 and ends at 11:59 pm ET on March 6, 2019. Prize pack includes one (1) Smart Home Device, a $100.00 gift card, and an OREO product determined by Sponsor in its sole discretion. ARV: $235.00. Twenty (20) First Prizes: First Prize pack includes one (1) Instant Film camera, a $30.00 gift card, and an OREO product determined by Sponsor in its sole discretion. ARV: $120.00. WINNER’S LIST – For a winner list, visit http://bit.ly/2FvKqJG. The winner list will be posted after winner confirmation is complete. 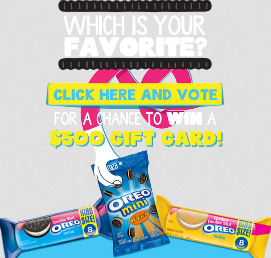 Oreo Radio Sweepstakes – Win a $500 gift card! ENTRY LIMIT – One (1) entry per e-mail and/or IP Address. 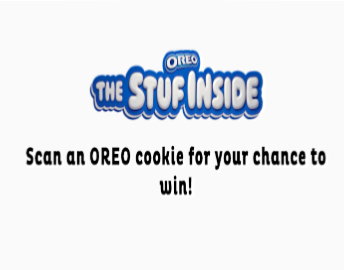 ELIGIBILITY – OREO Radio Sweepstakes is open to all legal residents of the fifty (50) United States and District of Columbia who are at least eighteen (18) years of age at the time of entry. SWEEPSTAKES PERIOD – The Promotion begins April 16, 2015 at 11:00 a.m. U.S. Eastern Time (“ET”) and ends May 11, 2015 at 10:00 a.m. ET. PRIZES – One (1) Grand Prize: One (1) grand prize winner will receive one (1) $500 Gift Card (issuer of Sponsor’s sole choosing). 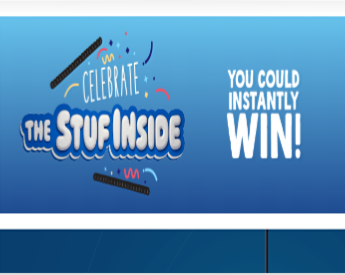 Oreo Red Velvet Rope Sweepstakes – Over 20,000 winners! Win a box of Red Velvet Oreos (20,250 winners)! ENTRY LIMIT – Limit one (1) entry per email address/person per day. pm ET on January 22, 2015. PRIZES – Twenty thousand two hundred fifty(20,250) Grand Prizes (six thousand seven hundred fifty (6,750) awarded per Entry Period): One (1) box of Red Velvet flavored Oreo cookies. No substitutions or transfers of prizes permitted by winners. Sponsor reserves the right to substitute a prize of equal or greater value. Approximate retail value (“ARV”): $4.49. Oreo Countdown to Extinction and Win Sweepstakes & IWG – Win a trip for 4 to Los Angeles & more! Win a trip for 4 to L.A. and more! SWEEPSTAKES PERIOD – PROMOTION BEGINS 12:00:00 AM ET ON MAY 15, 2014 AND CONTINUES THROUGH 11:59:00 PM ON JULY 15, 2014. PRIZES – SWEEPSTAKES: One (1) Grand Prize: A trip for four (4) to Los Angeles, CA for a tour of the Paramount lot. Trip package includes round trip coach-class air transportation from an airport near winner’s home (determined by Sponsor in its sole discretion) to Los Angeles, CA; three (3) nights accommodations at a hotel determined by Sponsor in its sole discretion (single room, quad occupancy); ground transportation between hotel and airport, and between the hotel and Paramount Studios for the tour; a tour of the Paramount lot (details determined by Sponsor in its sole discretion); four (4) one day General Admission passes to Universal Studios Hollywood; and $1,500 spending money for the winner only. Approximate Retail Value (“ARV”): $7,720. INSTANT WIN GAME: Six hundred twenty (620) First Prizes (ten (10) per day): Each winner will receive two (2) Hollywood Movie Money® reward codes. Each reward code is valid for a Hollywood Movie Money certificate for one admission (up to $13 value total) to see Transformers: Age of Extinction at participating theaters.